Irish Distillers’ premium-positioned whiskey Redbreast 12 Year Old Cask Strength has been awarded the overall ‘Best Irish Whiskey’ in the world and ‘Best Irish Pot Still Whiskey’ in the annual Jim Murray’s Whisky Bible 2019, giving the brand its sixth award in seven years. Commenting on the accolade, Billy Leighton, master blender at ID’s Midleton Distillery, said: “It is a real honour to accept the ‘Best Irish Whiskey’ award on behalf of Redbreast again this year – the sixth time in seven years that I’ve had the opportunity to do so. 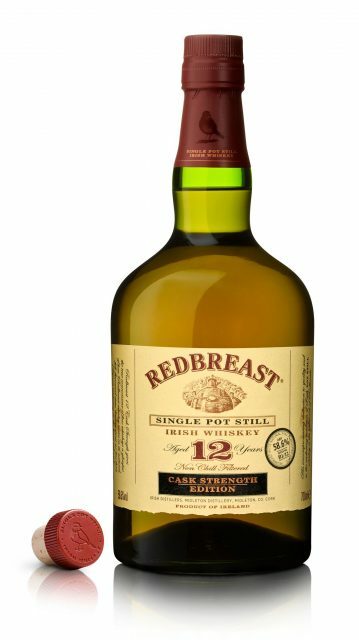 The Redbreast range has been awarded ‘Best Irish Whiskey’ in Jim Murray’s Whisky Bible six times over the past seven years, with the 12 Year Old version wining the category in 2013 and 2014.